ROBERT E. QUIRK is a founding member and partner of Quirk and Bakalor, P.C. His areas of practice include aviation, commercial, products liability and litigation. Mr. Quirk primarily represents manufacturers and insurers in the defense of asbestos-related matters, including mesothelioma, lung cancer and other malignancies associated with exposure to and ingestion of asbestos contained in various products. He has over 50 years of experience trying and arguing cases in both the New York State Courts and the United States District Courts for the Southern and Eastern Districts of New York. He also argues appeals in both the federal and state courts, including the Second Circuit Court of Appeals and the New York State Court of Appeals. 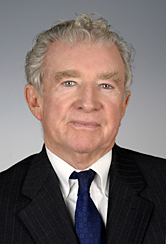 His representation of clients extends to the airline industry where he represented Pan American World Airways in the litigation arising out of the Lockerbie Bombing over Scotland, and to a national manufacturer in repetitive stress injury litigation. Mr. Quirk also practices in the area of estate planning. He prepares wills, trusts, living wills, health care proxies and power of attorney documents for clients.